The Cassie round wood accent table will elegantly style any room and is perfect for a lamp, floral, or photo display with its 20" table top. 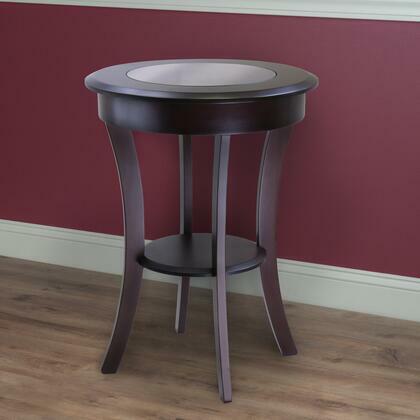 A 12.9" tempered glass piece sits in the center of the top and combined with It's curved legs gives transitional feel that can blend with many styles. 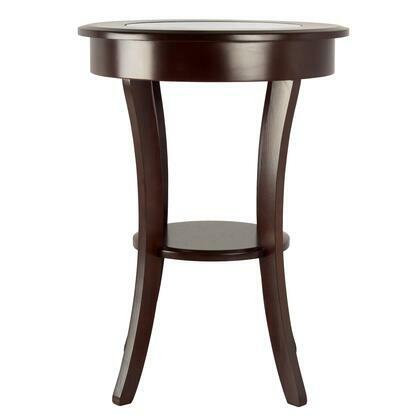 The overall size of the table is 20"W x 20"D x 27"H and is finished in a rich cappuccino color and made of solid and composite wood. Assembly required. 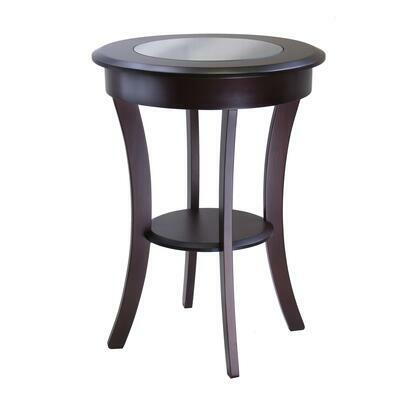 Overall Table size 20"W x 20"D x 27"H. Tempered glass top inset has 12.9" diameter. 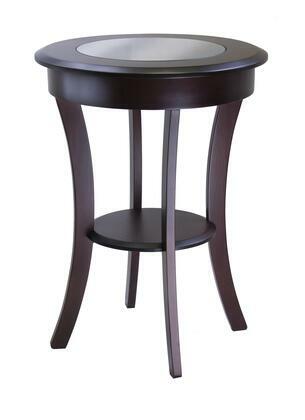 Lower shelf is round with 11.8" diameter for storage. Shelf has clearance of 12.4". 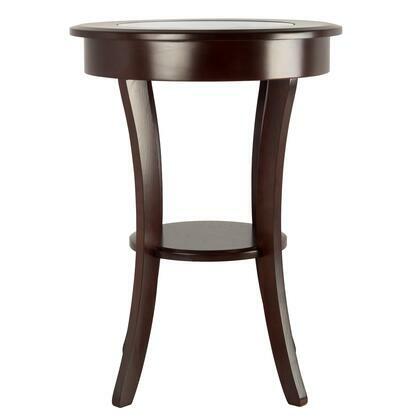 Constructed with solid & composite wood in cappuccino finish. Assembly required.